You should not enable strict mode; this may cause issues right now. OK, this is my first post in English, so please don’t be mean, and take it as My Best Effort or a Yet Another Lousy IT Guy Doing His Best (YALIGDHB) :). It wasn’t really that important. I didn’t want to have it all the time remind me of its existence, though. And don’t forget to restart your mySQL! Sorry about the late reply. 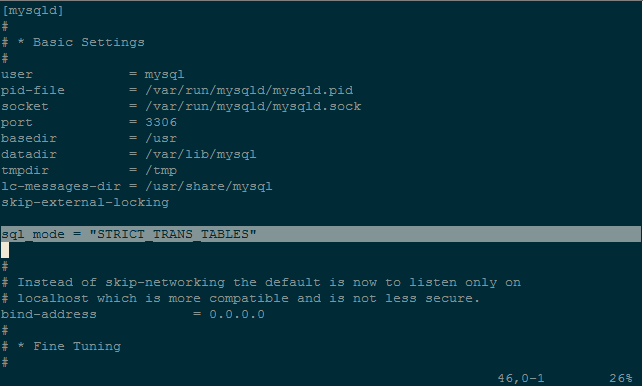 This was tested for 0.90.5 and MySQL 5.6.